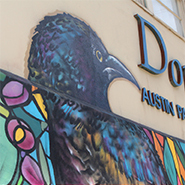 Since 1978, the DAC has thrived as one of Austin’s most cherished and affordable community arts centers, featuring live performances, gallery exhibits, and art classes. From our fine arts preschool to our popular summer camps and afterschool arts programs, we’ve got your kids art cravings covered. Practice drawing, painting, darkroom photography, ceramics and more in a supportive adult studio environment. Check out creative opportunities in our Artist Resource Center. Visit our 2,400 square foot gallery space, catch a live theater or music performance in our 150 seat theater, and meet new friends at our monthly Date Night. With so much going on, there is always something for everyone at the DAC. ​​Formally a Naval and Marine Reserve Center, built in 1947, the building was dedicated to the City and named for the late arts advocate Mary Ireland Graves in 1978. 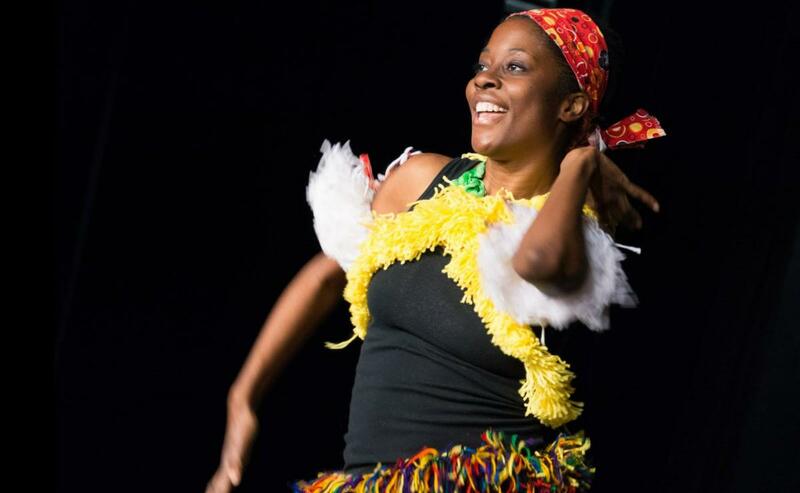 Since then, the Dougherty Arts Center (DAC) has been offering arts experiences for a broad audience through its three main components- The Dougherty Theater, Julia C. Butridge Gallery and the Dougherty Arts School. 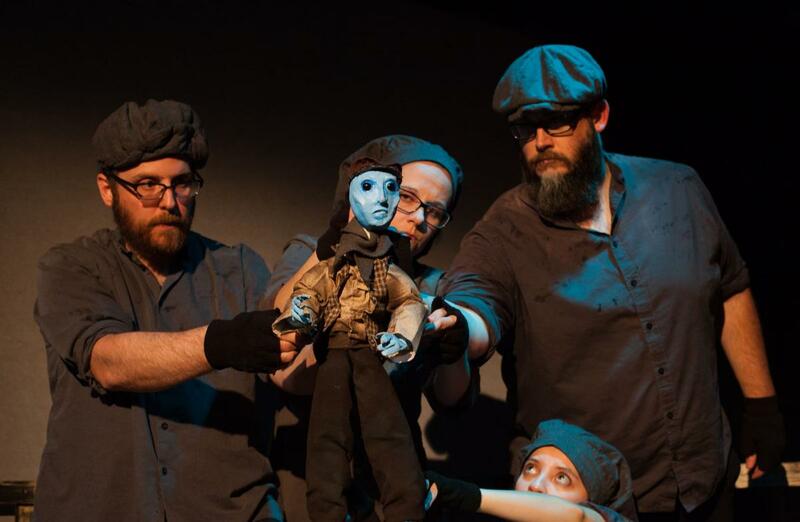 Trouble Puppet Theater Company Presents "The Bomb In HayMarket Square"
Located just south of the Colorado River, (see map for directions) the Dougherty Arts Center overlooks the iconic Butler Park and ever growing Austin skyline. Admission to the Julia C. Butridge Gallery is always free. After visiting the DAC, enjoy a meal at one of the many nearby popular Austin restaurants, located along Barton Springs Road. Click here for more FAQs about visiting the DAC. Parking at the Dougherty Arts Center is always free. 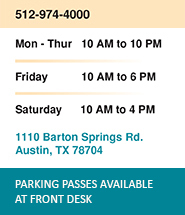 During business hours, guests will need to check in at the front desk to receive a parking permit while on premise. During special events, the DAC will close its parking lot to the public. Patrons and guests of the DAC will not need to display a parking permit when the parking lot is officially closed to the general public. Guests and patrons include anyone visiting the gallery, creative spaces, performance or special events, or anyone who is attending a workshop or class. Want to support the Dougherty Arts center and stay up to date with the latest news on workshops, performances, exhibits, receptions and more? Join our mailing list and receive our monthly e-newsletter. You can also follow the Dougherty Arts Center on Facebook, Instagram and Nextdoor. For more information on becoming involved with the DAC and support the Austin arts community visit our Get Involved page.